Latin Rite parishes have a unique pastoral situation when it comes to receiving into the Catholic Church fully initiated Christians from Eastern Churches. WASHINGTON — With every Lent, Catholic parishes enter into the final stretch of preparing people for full initiation into the Catholic Church at the Easter vigil. But parishes that have Orthodox preparing to become Catholic through the Rite of Christian Initiation for Adults need to make sure they do not end up invalidly re-baptizing and re-confirming fully initiated Christians, who only need to make a profession of the faith in order to become part of the Catholic communion. “When they’re in RCIA, it’s problematic,” said Paulist Father Ron Roberson, associate director of the Secretariat for Ecumenical and Interreligious Affairs at the U.S. Conference of Catholic Bishops. Father Roberson explained that the Catholic Church recognizes the validity of the sacraments of the Eastern Orthodox, Oriental Orthodox, and Assyrian Church of the East Christians. These Churches all confer the sacraments of initiation — baptism, chrismation (or confirmation) and first Eucharist — at the same time, even at infancy. Unlike Protestant Christians, Orthodox and Assyrian Church Christians are fully initiated and profess the same Creed as Catholics. Father Roberson said it would be “extremely inappropriate” for a Catholic parish to attempt to re-baptize or re-confirm them. “They really don’t need to go through RCIA at all,” he said. 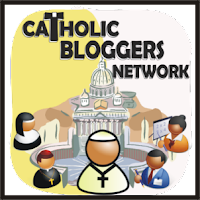 However, he said Orthodox coming into communion with the Catholic Church might find RCIA beneficial as a vehicle for Catholic catechesis, depending on their level of education in the Catholic faith. Father Roberson said the ecumenical dialogues between the Catholic Church and the Eastern Orthodox, Oriental Orthodox, and Assyrian Church have made substantial progress in coming to doctrinal agreement, but the “lynchpin of disagreements” is still the role and exercise of papal primacy. Because there was no Melkite Greek Catholic Church at the time in her area, Hayes said her formal reception into the Catholic Church took place at the local Latin Rite parish. Because she was already a fully initiated Christian (having received a valid baptism, chrismation and Eucharist as an infant) Hayes did not need to go through RCIA. Hayes came into Catholic communion on Holy Thursday 2003 by making a profession of the Catholic faith through reciting the Creed. But Hayes did join the RCIA class voluntarily as a catechetical course to help “dispel some misunderstandings” about the Catholic faith she had held as an Orthodox faithful. The Greek Orthodox tradition expresses shared theological teachings differently from Western Catholicism. For example, she said, the Greek Orthodox may not hold a doctrine called the Immaculate Conception, but they all believe that whatever effects of Eve’s sin she passed to humanity, the Theotokos (Mary, the Mother of God) did not have. Like many Orthodox, Hayes said she struggled with the question of “What do you do about the pope?” in relation to the other apostolic Churches. But reading a letter from the great St. John Chrysostom, patriarch of Constantinople, asking for help from the Bishop of Rome, affirmed for her the Petrine ministry of the pope as a source of unity for Christ’s Church. Hayes explained a problem in contemporary Orthodoxy is that when different bishops cut each other off from communion, this leaves the faithful in the lurch: Whose sacraments can they receive? The Petrine primacy guarantees that all 24 Catholic Churches in communion with the Bishop of Rome are also in communion with each other. Under the Church’s law, all Orthodox and Assyrian Church of the East Christians need to do to come formally into the Catholic Church is to profess they believe all the Catholic Church teaches. The code does not specify exactly the shape and manner of how the profession of Catholic faith is made. But it does explicitly prohibit the Church’s ministers from adding further conditions beyond what is necessary for Orthodox individuals and groups asking for admittance into the Catholic Church. When Orthodox Christians enter into full communion with the Catholic Church, they enter into the Eastern Catholic Church that corresponds with the Orthodox Church they came from, even if they are received through a parish of the Latin Church. In the case of Hayes, because the Melkite Greek Catholic Church was that part of the Antiochian Orthodox Church that came into communion with Rome, she transferred from the Antiochian Orthodox Church into the Melkite Greek Catholic Church. Similarly, a Ukrainian Orthodox person who becomes Catholic would be enrolled in the corresponding Ukrainian Greek Catholic Church. Father Laschuk explains that by making a profession of the Catholic faith, an Orthodox person is engaging in a “juridic act” that formally indicates his or her intention to transfer from the jurisdiction of their Orthodox Church and enter into full communion with the Catholic Church through their corresponding Eastern Catholic Church. “The idea is that this is now the moment where I am Catholic,” he said. Latin Rite parishes fall under the Western Code of Canon Law, but Pope Francis brought both codes into line with each other in 2016 with the document De Concordia Inter Codices, his motu proprio on variations to certain norms of the Codes of Canons of the Latin and Eastern Churches. The Pope required that parish baptismal registries now indicate which Catholic ritual church a person is baptized into (or which ritual church they transfer from) and conveyed clearly that Latin Rite Catholic pastors have a responsibility to help Eastern faithful observe their own rite in the Catholic Church. “It must be recalled that the Eastern faithful are obliged to observe their own rite wherever they are … and therefore the ‘competent ecclesiastical authority has the serious responsibility to provide them with appropriate means for them to fulfill this obligation,’” Pope Francis stated. Father Laschuk explained the Church’s law requires Latin Rite parishes to encourage Eastern Christians to observe their own ritual tradition and forbids them from encouraging Eastern Christians to become Latin Rite. “Inducing someone to transfer rites is a canonical crime,” Father Laschuk said. Many Orthodox are fully involved in Eastern Catholic parishes and receive their pastoral care, without formally becoming Catholic, and may be virtually indistinguishable from Catholic members in the pews next to them. While the Catholic Church’s canon law encourages Orthodox Christians to observe the discipline of their own Orthodox Churches, the Eastern and Latin Churches allow Orthodox to receive Holy Communion if they so choose (Canon 844). “In all of our families, there is a mixture of Catholic and Orthodox,” he said. But many times, he said, the Melkite Church sees Orthodox come into communion because they want to receive sacraments, such as matrimony, through the Melkite Catholic parish they attend. Sometimes they are the children of Orthodox parents who did not realize that they were not formally Melkite Catholics, but still under the jurisdiction of the Antiochian Orthodox Church. Bishop Nicholas said the process is fairly simple: The Orthodox person just signs a document in the presence of a witness that he or she professes and believes all the Catholic Church teaches and is requesting a formal transfer into the Melkite Greek Catholic Church. The Catholic parish requests the baptismal records from the Orthodox parish and marks the date of transference to the Melkite jurisdiction on those records. Bishop Nicholas said in some cases they do grant to Orthodox who come into communion the permission to canonically change their ritual Church. The bishop said this tends to occur in the case of an Orthodox person who did not have contact with his or her tradition but is getting married to a Latin Rite Catholic and wants to join the Latin Church. In such a case, the Latin parish is supposed to encourage an Orthodox person to follow the particular Eastern Catholic Church’s tradition before facilitating the request for a transfer of jurisdiction upon becoming Catholic. Father Laschuk said Latin Rite Catholic parishes need to be aware of the situation because many refugees from other parts of the world, such as those from the Middle East, are being resettled in places where there is no corresponding Eastern Catholic Church. The baptismal registers are now required to list the ritual Church the child is baptized into. He said it is a good “best practice” for a Latin parish to inform the appropriate Eastern Church bishop so that he can send a priest when they’re ready to form their own Eastern Catholic parish community.